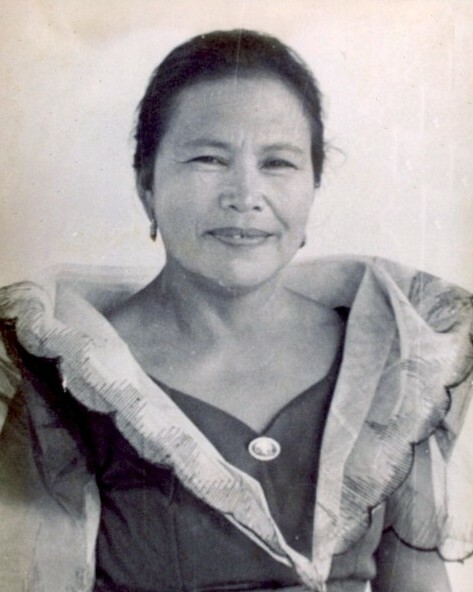 Anatolia C. Bartolome, 100, of Milford, beloved wife of the late Pedro Bartolome, passed away peacefully at home on March 20, 2019. She was born on July 24, 1918 in City of Laoag, Philippines to the late Marcelina (Manuel) and Dalmacio Cabacungan. Anatolia was active at the Milford Senior Center and a communicant at Saint Agnes Church. She was also a member of the P.A.A.C. and C.W.L. She will be greatly missed. Anatolia is survived by her children, Simplicia Bartolome, Julita Salazar, Evangeline Flores, and Leonor (Fermin) Malabanan; her grandchildren, Perl Angeli Bartolome, Victor (Noreen) Salazar, Edwin Salazar, David (Hazel) Salazar, Geoffrey (Georgina) Flores, Udele Malabanan, Jay (Angela) Malabanan, and Peter (Sharon) Malabanan; her great grandchildren, Natania, Vyctoria, Leann Grace, Julius and Leigh Salazar, Renae, Lovan, and Gabriel Flores, and Taty (Brian), Quincy, Alayna, Elija, Kaylee, and Violet Malabanan; her great-great grandson, Gabriel Rouse; her sister, Regina Cabacungan; and several nieces, nephews and extended family members. In addition to her parents and husband, Anatolia was predeceased by her sons-in-law, Pablo Salazar and Renato Flores. A Mass of Christian Burial will be celebrated on Saturday, March 30, 2019 at 10:00 a.m. at Saint Agnes Church (Precious Blood Parish), 400 Merwin Ave., Milford, CT (MEET DIRECTLY AT CHURCH). Burial will follow at Saint Mary Cemetery, Buckingham Ave., Milford, CT. Family and friends may call on Friday, March 29, 2019 from 4 p.m. to 8 p.m. at the CODY-WHITE FUNERAL HOME, 107 N. Broad St., Milford, CT.